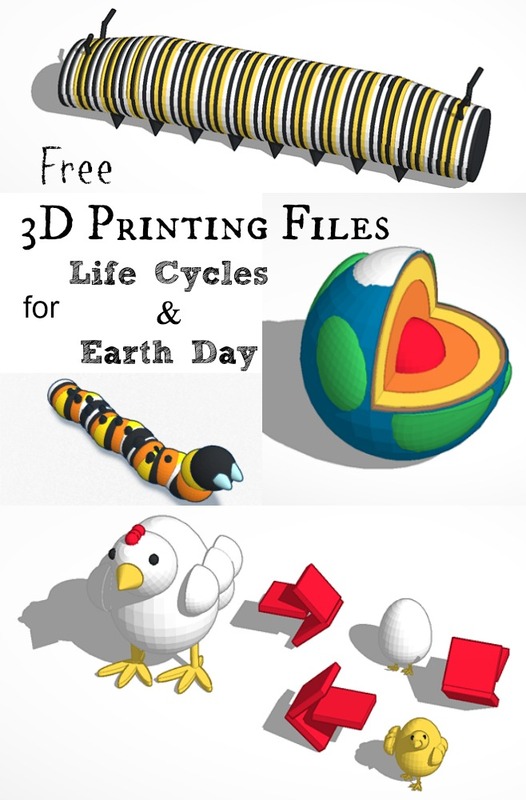 Earth Day & Life Cycle science lessons are coming up on our agenda at school. 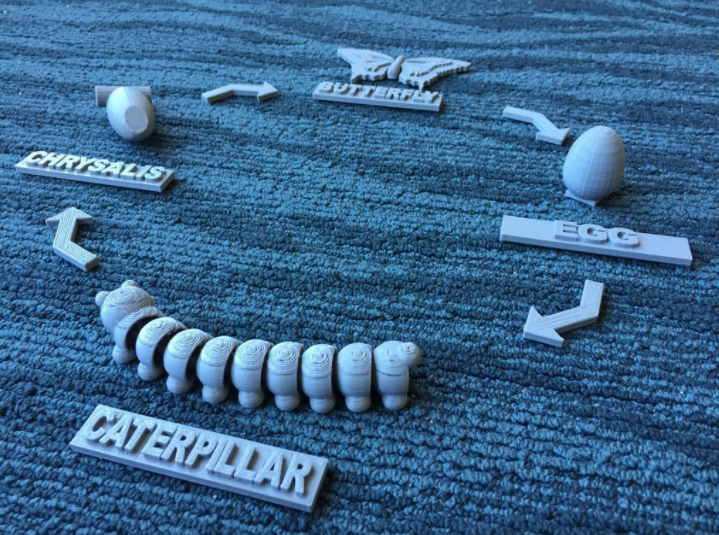 Until last month I had never used a 3D Printer before – I have to say they are pretty fun! 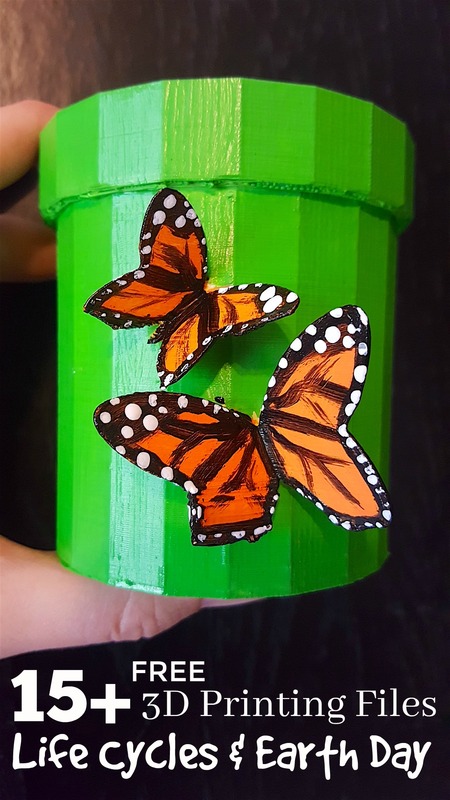 We have been using the Dremel 3D40 Idea Builder at our school the past month and it’s been amazing to see what the students have come up with! 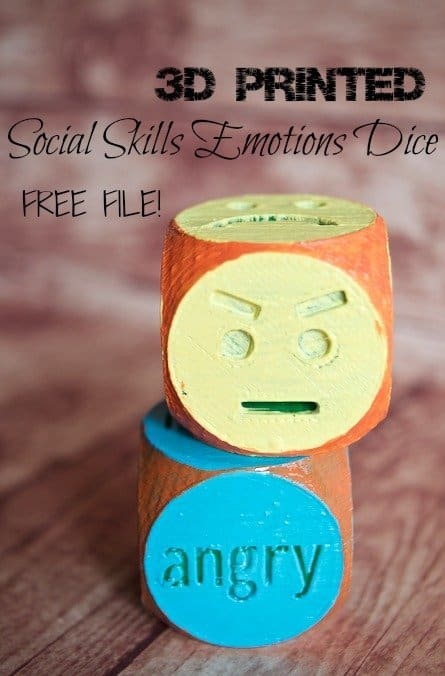 Earlier in the month I shared with you the file to our Social Skills Emotions Dice which was pretty popular along with an awesome roundup of free 3D Printing Files for your Classroom – but we have been making a ton of things behind the scenes that I’m still working on! Even my 9 year old has been working hard designing, printing, and painting the fidgets he’s been making for his friends! 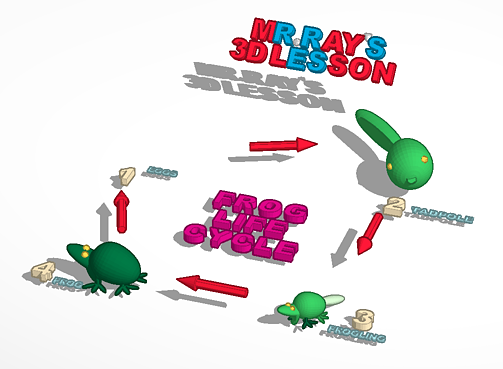 I will be creating a 3D Printing Gallery on my site this summer so that you can see all of the different projects we’ve been making and how students are using it in the classroom! I also recommend following Dremel Education on Facebook because they have some incredibly ambassadors that are doing crazy cool things with their 3D Printers! I have a LOT to learn! 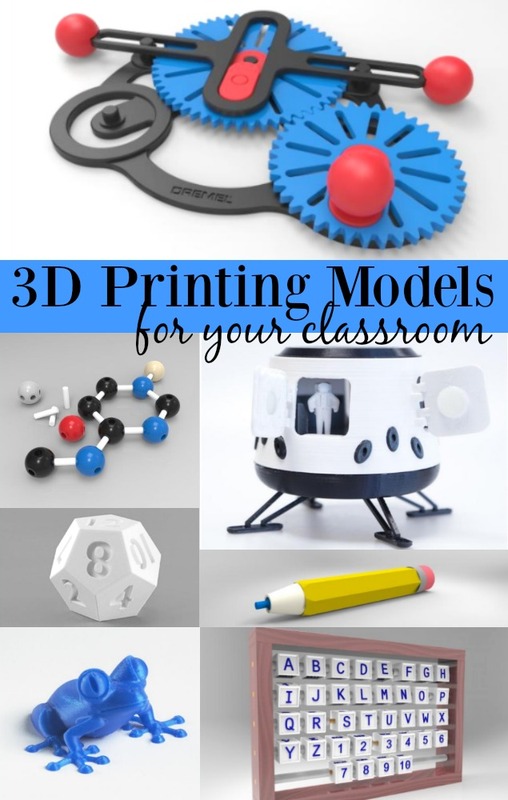 Check out this video that shares how the class make VR headsets with their 3D printer, or this video that shows how they made a water sensor robot! 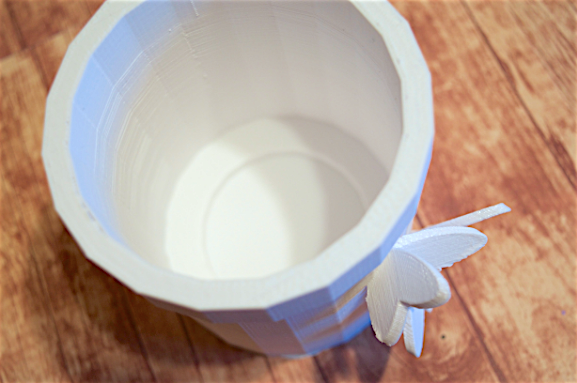 At the bottom of this post you’ll find the free 3d printing file for my Butterfly Flower Pot that I made for Earth Day! It was my VERY FIRST 3D printing creation ever so I’m pretty proud of it! 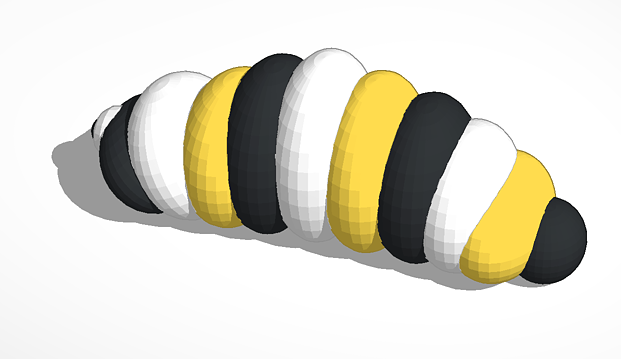 If you’ve never designed anything in 3D before I highly recommend using Tinkercad. 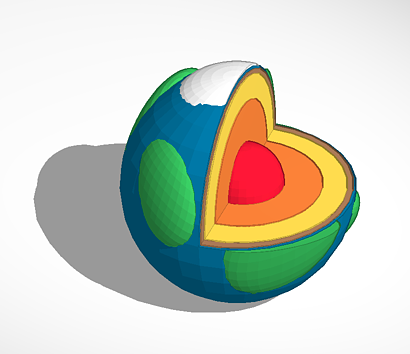 It’s FREE and you can design things even if you don’t have access to a printer! 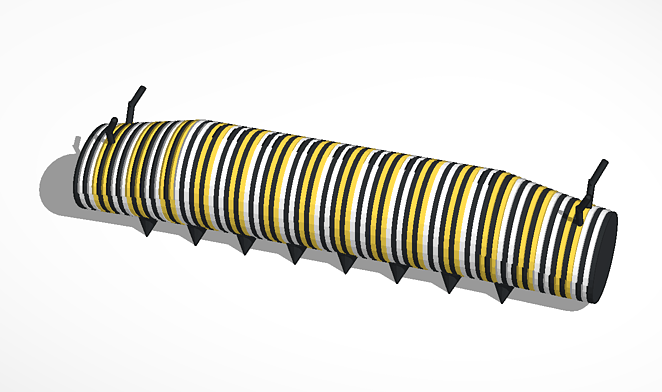 They have pre-made shapes and tools that you can stretch and “cut” to make any shape or size you desire! 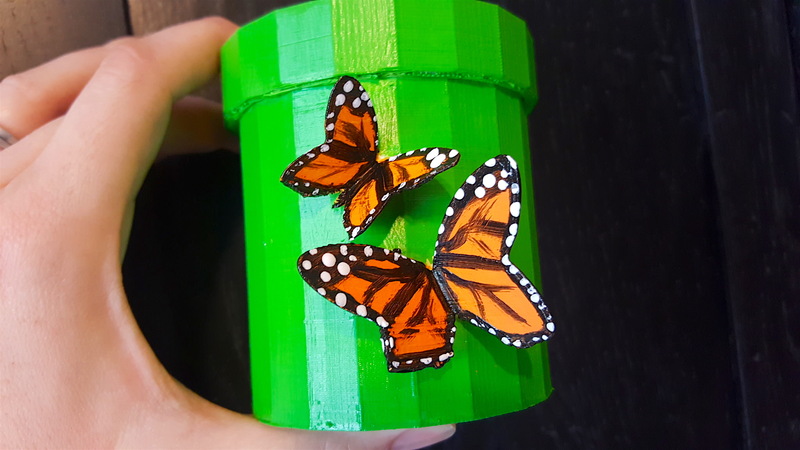 If you look on Pinterest there are all sorts of tutorials for finishing your final 3D printed piece but I have just been using simple acrylic paint . It’s cheap enough to use in the classroom and can help add some color to your pieces! 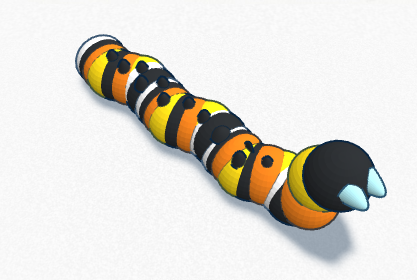 Especially if you are printing a generic base for manipulatives or something more intricate like designing butterfly species. 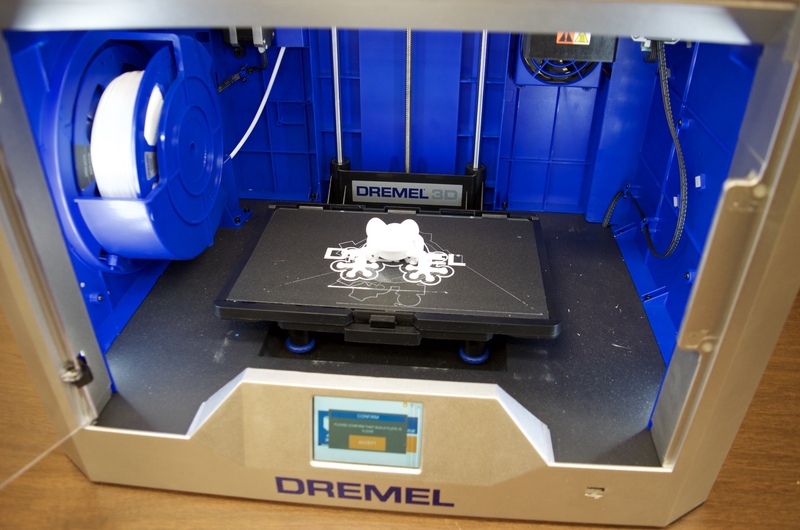 You can see a shot here of our Dremel 3D40 IdeaBuilder 3D Printer that we use. 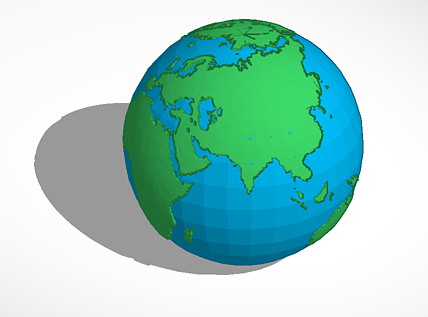 It’s HUGE and has a large building platform to work on (10″x6″x6.7″). You can print some pretty sizable classroom sized projects in this thing AND it’s extremely user friendly right out of the box! Just plug it in and the simple user guide & touchscreen walk you through the process! 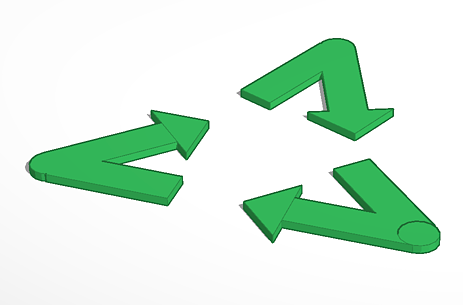 If you’re interested in the free 3D printing file for the frog you see you can find it here on Dremel’s website. 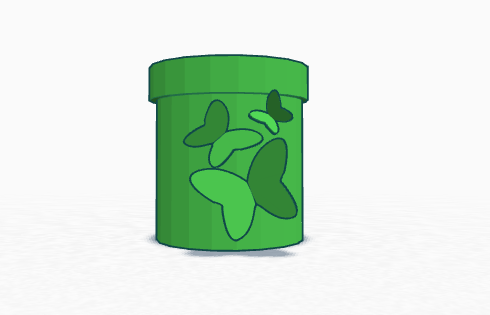 *Print this flower pot and use acrylic paint to design the butterflies on the front and match a specific species that you are researching. Take it a step further by planting a plant in it and researching the plant. 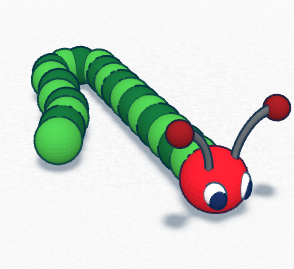 *Scale down any of the caterpillars or butterfly 3D files and put them into an “I Spy” bag or nature sensory bin. 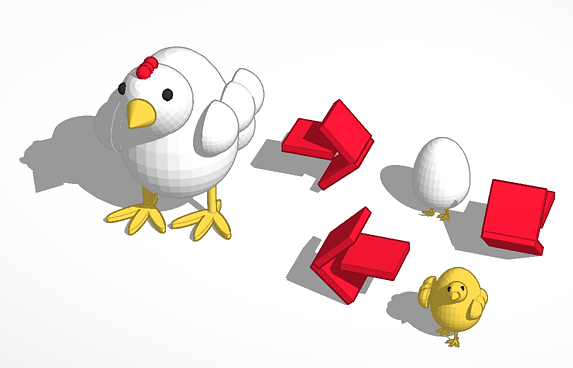 Click the image OR link below to get the FREE 3D printing file (.stl)! 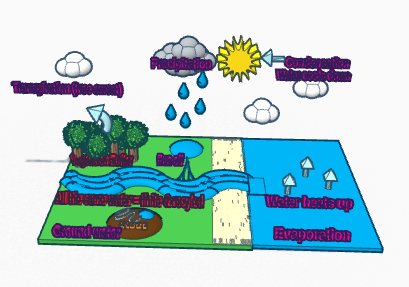 To access any of the below projects simply click on the image!